« Remember the Scottish Wildcat ? BBC Life Sciences — A stocktake of UK nature suggests 60% of animal and plant species studied have declined in the past 50 years. 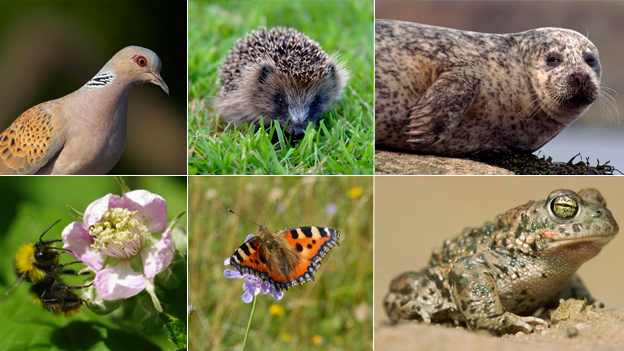 The State of Nature report, compiled by 25 wildlife organisations – from the RSPB to the British Lichen Society – collates assessments of 3,148 species. Conservationists hope it will offer clues to the fate of the UK’s 59,000 species. Beetles and wildlfowers are among the most vulnerable species. “This ground-breaking report is a stark warning – but it is also a sign of hope,” said naturalist Sir David Attenborough, who launches the report today. “We have in this country a network of passionate conservation groups supported by millions of people who love wildlife,” he said. The State of Nature report outlines a new “watchlist indicator” which charts how populations of these species have fared in the last 50 years and the overall trend is a 77% decline, despite successes for some including bitterns and adonis blue butterflies. This entry was posted on Wednesday, May 22nd, 2013 at 7:44 am	and is filed under CRITICAL, DANGER, The Internet, Worst of Times. You can follow any responses to this entry through the RSS 2.0 feed. Both comments and pings are currently closed.